GO GREEN WITH SOLAR PANEL! Nowadays, pollution is getting worse and worse. It can be one of the biggest killers, affecting more than 100 million worldwide. You don’t want to die fast, right? Let’s save the world and be green with solar panel! Pollution is one of the biggest issues that every nation faces right now. Every nation only competes to be the number one in economic development and sometimes ignore about environmental condition. The fact is every nation should attain sustainable development, which is balance between economy, environment, and social community. Energy which is very important for economic development of nations is getting fewer. Every nation exploits energy in order to achieve rapid economic growth. Total energy needs in the world currently reach 10 Terra Watt and this number will increase until 30 Terra Watt in 2030. The increasing number of total energy needs collide with the sustainable concept that human needs to pay attention to. Solar panel as alternative energy source can solve this problem. 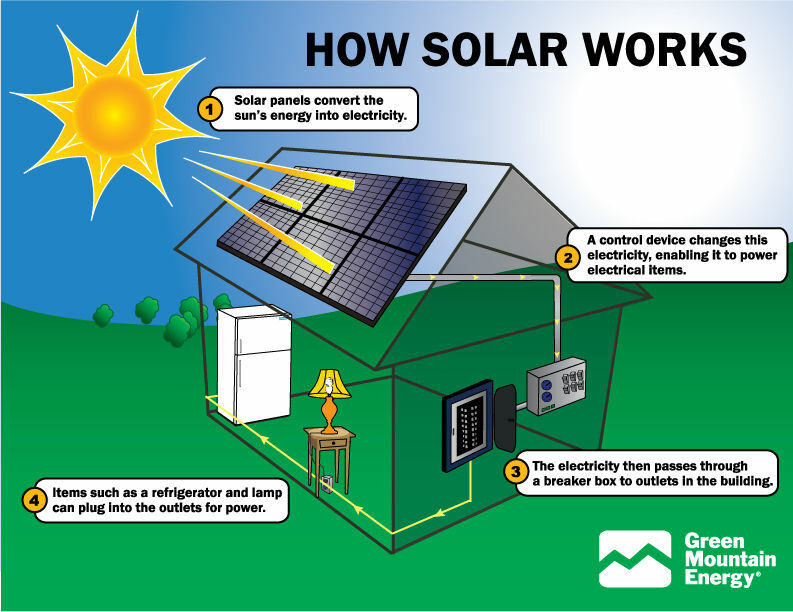 Solar panel is a panel designed to absorb the sun’s rays as a source of energy for generating electricity or heating. Solar energy is actually the most promising energy sources because it is unlimited and sustainable. The sun is expected to address future energy needs problem because most of energy sources are limited and not environmental friendly. Solar panel work using p-n junction principle, which is the junction between p-type and n-type semiconductor. This semiconductor consists of bonds in which atoms are electrons as the basic constituent. N-type semiconductors have an excess of electrons (negative charge) while the p-type semiconductor has excess holes (positive charge) in the structure of the atom. The role of p-n junction is to form an electric field so that electrons (and holes) can be extracted by contact material to produce electricity. When the p-type semiconductor and n-type contacted, then the excess electrons will move from the n-type semiconductor to the p-type to form a positive pole on the n-type semiconductor, and conversely the negative pole to the p-type semiconductor. As a result of the flow of electrons and holes is to formed electric field which when the sun light on the composition of the p-n junction will push electrons move from the semiconductor toward the contact negative, which in turn is used as electricity, and vice versa hole moves toward the positive contact waited electrons come. Solar panel consist of substrate/metal backing, semiconductor materiel, contacts metal/contact grid, antireflective coating, and encapsulation/cover glass. Substrate/metal backing is material that sustains all components of solar cells and it must have a good electrical conductivity. It can be made by metal material such as aluminum. There’s a lots of advantage using solar panel, especially solar panel doesn’t cause any pollution and it’s free energy! You can be go green, save the world, and less money! So, you still doubt to save the world with solar panel? We, Shanghai Metal Corporation can provide you good quality of aluminum that can support your solar panel! As a representative of the metal industry, Shanghai Metal is one of the leading businesses in the manufacturing of metalworking industry. We can produce and export the best quality of aluminum, other metal products, shipping containers, and service. We prioritize the efficient of manufacturing and environmental sustainability. Want to know more about our company? Please visit our website and you can follow us on Twitter, Facebook, LinkedIn, and Instagram. Feel free to download our new mobile application by scanning the QR code below. Inspired by Japanese paper folding ‘origami’ new trend in retailing is portable and aesthetically appealing. 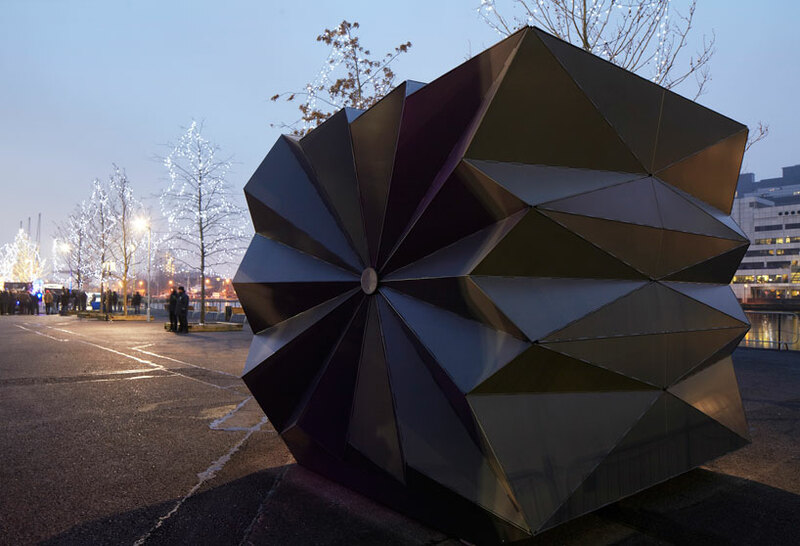 The Kiosks created by London-based architecture firm, Make Architects, in collaboration with metal fabricators, Entech Environmental Technology Ltd are a success and use models of origami throughout the design process. Two unique prefabricated retail kiosks opened to the public for the first time at Canary Wharf’s Ice Sculpturing Festival in London in the beginning of this year. “It was only when we were making [physical] models that we suddenly realized something was jamming, and that was really interesting.” Later, the designers built a full-scale mock-up out of cardboard and foam board. “That way we could really understand how it works,” explains Sean Affleck, Make Architects’ lead project architect. The outer shell is made of 2-millimeter-thick aluminum plate which is crucial to mimic paper due to its lightweight and easy manipulation. Any other material would be too heavy. Although lightweight the aluminum shell is not less resistant; the powder-coated aluminum cladding panels are highly durable against weather and graffiti, requiring minimal maintenance. The rest of the body uses stainless steel fabricated in-house. To create a proper system that allowed opening and shutting the pop-up store with easiness the metal was folded, pressed and rolled. Such a process created an integral hinge into which a stainless steel rod was inserted. Very convenient a remote-control can do the job of opening and closing the kiosk with no stress. The vibrant opening is attractive to the public who also finds a shelter underneath the ‘origami’ roof. When o pened the inside of the sculptural rectangular box measures 2m deep and 3m wide, perfect for multitude of purposes; from serving coffee to information points to even a spot for DJs at events. The interiors lined with steel frames and a plywood-stressed skin can be customized by the vendors, depending where and when they are used. It is very comfortable to stand inside the rectangular ‘origami’ box, rain-skin cladding panels protects the changing vendor stories from insulation and reduced solar gain. “Our solution on the modern street kiosk is a distinctive sculptural rectangular box that transforms when it opens and its function is revealed. The internal fit-out elements can be adapted to suit the needs of individual vendors”, says Affleck. Aesthetically pleasing, the prefabricated pop-up stores are a great solution as urban furniture. When closed, the booths appear as futuristic sculptures, their matte grey exteriors evoking the steel and stone of the city, enhancing and revitalizing the public space. The aesthetic form of the kiosks coupled with new activities and landscape would be able to provide a new urban platform for both tourists and locals alike. Shanghai Metal Corporation offers a wide range of metals such as aluminum, widely used in the fabrication of prefabricated ‘origami’ pop-up stores. To find out more, please visit our Website or send your inquiry here. Our English speaking personnel will be more than pleased to help you. 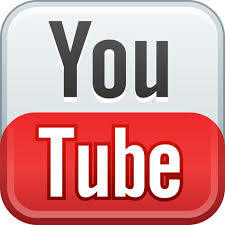 Follow us on LinkedIn, Twitter, Facebook, Instagram and don’t forget to subscribe to our YouTube channel. Or you could try our new mobile app by scanning our QR code. We may have seen almost all kinds of cars, hybrid cars running on both petrol and ethanol or electric cars that rely on chargeable batteries, but I bet you haven’t seen this one: solar charging car. Volvo launched a solar charging car known as V60 Plug-in Hybrid. The new technology was presented as the winner of the 2013 Switch to Pure Volvo Pavilion Design competition held by Volvo in Italy last fall. The creation was designed by Alvin Huang’s Synthesis Design + Architecture and serves as a portable solar charging station for the first-ever diesel plug-in hybrid. How does it work? The car is charged over the course of a day when parked beneath a mesh structure made of photovoltaic cell, which generates energy from the sun or indoor lighting. Once charging is complete, the structure is able to collapse and fit into the V60’s trunk. “The creation of ‘Pure Tension’ is proof of how modern and innovative Volvo Cars’ mindset is. The Pure Tension pavilion demonstrates performance, form and technology, just like the new Volvo cars.”, says Mr. Huang. Volvo added by describing the new creation as a vision of the future where cars can simply charge themselves by deploying structures such as this. Practicality, however, may say otherwise. The current design, certainly interesting to look at, may be a little tricky when charging your car, let’s say in a parking lot. But even if you wanted to purchase the plug-in right away, according to Volvo, the structure is currently for demonstration only, with no plans for production in the near future. However, the V60 Plug-In Hybrid will be available in Europe, while a gasoline-only version of the V60 can be seen in the United States already. More interestingly, I’d say, is the fact that the new technology provided by the V60 addresses the issue of sustainability in the form of combination of EV and solar; a tensioned and perforated HDPE Mesh skin with embedded PV transparent panels and a perimeter ring made of carbon fiber rods. Environment-friendly, continuous and sensual, the design of V60 offers an organic sense to the spectators, as well as invites them on a visual interaction. Shanghai Metal Corporation manufactures a wide range of Solar panel aluminum extrusion widely used in solar panels and tin coated/plated copper strip used in solar panel batteries. For our full list of products that we offer check out our website here. Be sure to join the conversation in our LinkedIn group, Facebook, Twitter and Instagram. Try also our new mobile application by scanning the QR code below. WHO DOESN’T WANT TO LOOK FOREVER YOUNG? WHAT’S THE BEST: COPPER OR SILVER WIRE CABLE FOR YOUR HEADPHONES? DO YOU KNOW WHETHER YOUR PENNY IS A COPPER OR A ZINC COIN? COPPER KITCHEN SCRUBBERS REVOLUTIONIZING IT?